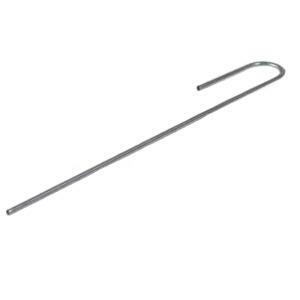 Use these 8" Galvanized Steel Wire "J" Stakes (also known as hold downs or pins) to secure 1/2" tubing in place. Just position over tubing and push into the ground. These stakes can also be used for holding landscape/frost fabric in place.